Medium difficulty. Prep & Cook Time: 1 hour. Preheat the oven to 200C. In a small saucepan, heat a little nut oil, and add the cherries, balsamic vinegar, honey and cook for a few minutes on med – high heat. Deglaze with wine, let it cook for another few minutes, then add the stock and let it simmer for 10 minutes. Pass the sauce through a sieve, return to the saucer, season with salt and pepper, and let it simmer on low heat for 10 - 15 minutes. In the mean time, slice small incisions in the skin of the duck breasts, and season generously with salt and pepper. Heat a pan on med - high heat and place the duck breasts skin side down, browning them for about 2 minutes on each side. Now place the duck breasts in the oven for about 6 - 7 minutes, (skin side up). To make the polenta, bring the milk and water to a boil, add the polenta, reduce the heat and stir continuously for 10 minutes. The polenta will thicken rapidly, so make sure to season with salt and pepper early on. 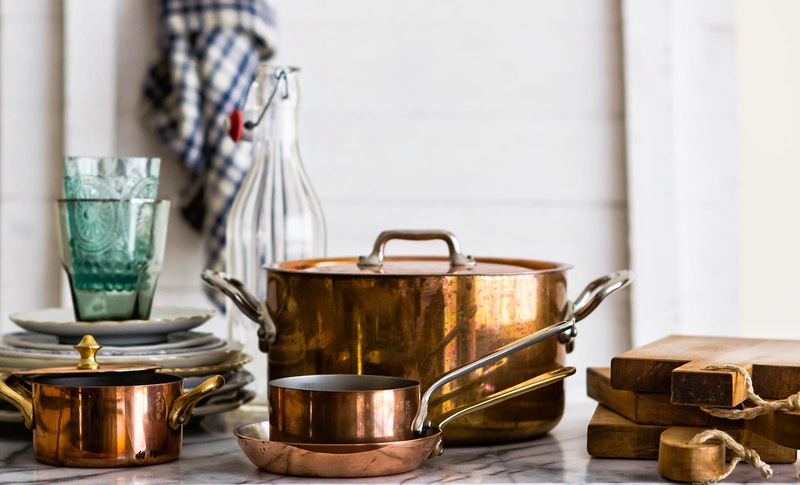 Once it has reached a thick consistency, you can start plating the dish. 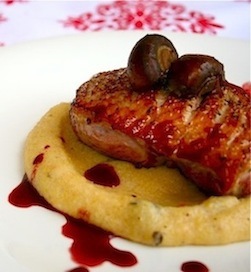 Start with the polenta, then place one duck breast on each plate, and drizzle with the cherry sauce. Bon Appétit!